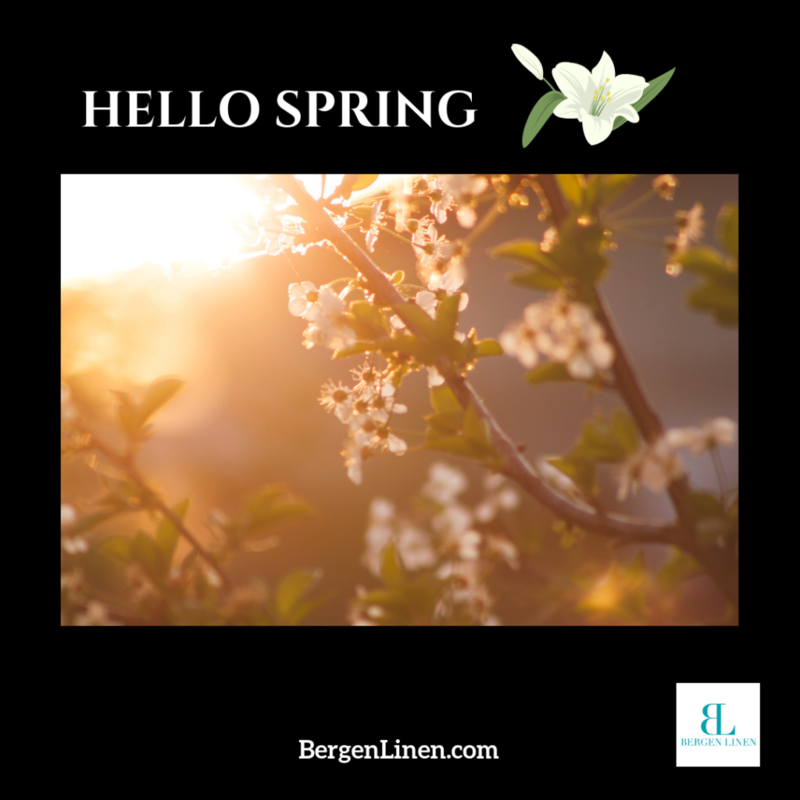 Happy First Day of Spring 2019 from your friends at Bergen Linen! During the spring, you may notice an increase in reservations, special parties and weddings. Will you be prepared for your guests with the very best table linens – and special requests? With Bergen Linen on your side, you can be rest assured that your table linens will not be the glitch in your set-up routine. Call (800) 789-8115 for your risk-free evaluation.